Serengeti Sopa Lodge: Located on the edge of the escarpment overlooking the plains of the south-western Serengeti National Park, home to many thousands of wild and rare animals. 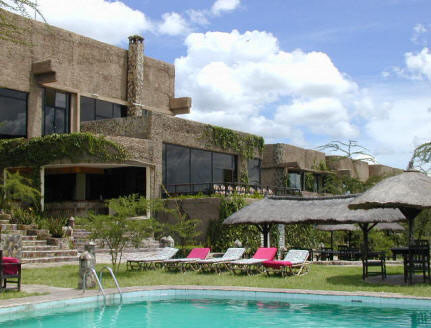 Serengeti Sopa Lodge lies within an area of out-standing natural beauty. 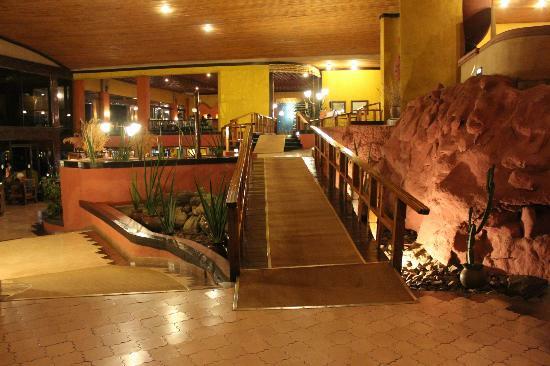 An oasis of cool relaxation from the equatorial sun. With our Sopa tradition of excellence, it goes without saying that our fully en suite guestrooms and suites have been designed, decorated and furnished with only your total comfort in mind. 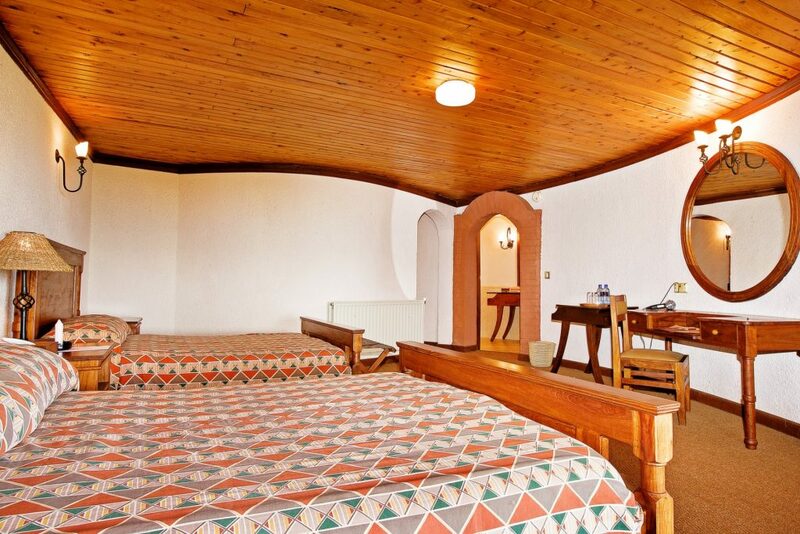 69 standard rooms: all with 2 queen size beds, carpeted, and tastefully furnished with local fabrics and pictures. One entering the room is a lounge with a mini bar. 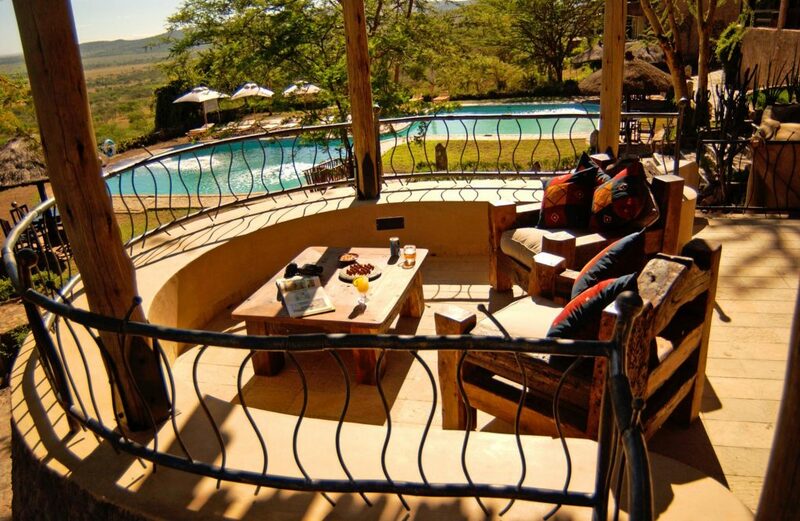 In the front is a verandah with 2 comfortable chairs and coffee table, with glass windows facing the vast Serengeti plains which extend as far as the naked eye can see.